and all actively enrolled in Master Facilitator Training! Please email us at support@koelleinstitute.com if we can set up a payment plan for you for this retreat. There is nothing quite like learning to gentle a wild Mustang. I can still recall the very first time I worked with an untouched Mustang. The experience was exhilarating and the lessons that were offered to me were nothing short of life-changing. The insights that were mirrored back to me left me in a state of awe for just how subtle, vibrant and truly intelligent the non-verbal language of energy can be. In order to form a trusting relationship that could transcend species, I felt as though I was entering a master class for understanding the intricate connection between our vulnerability and the universal language of energy. I still use the insights and awareness I gained from my wild, four-legged Mustang teacher almost every day. It’s for this reason that I’d like to offer you an opportunity to learn directly from these masterful teachers. This is an experience that’s almost impossible to describe to you in words—yet it’s likely to be one you’ll never forget. 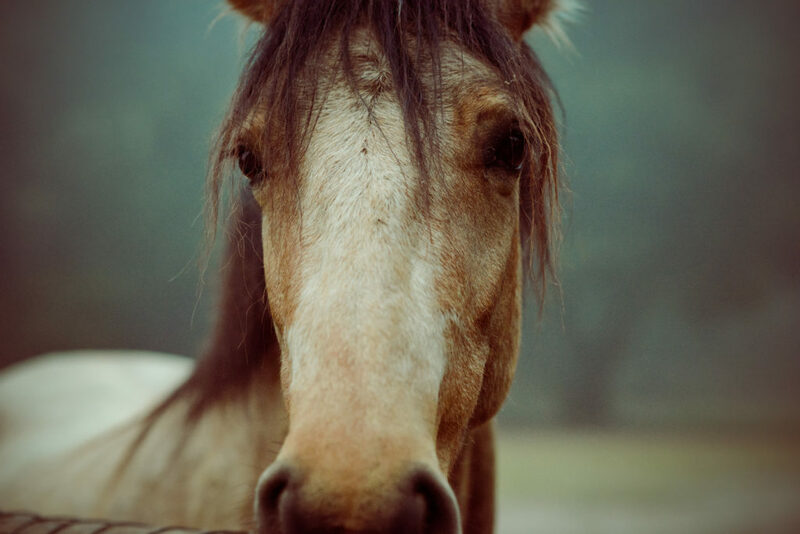 If you feel ready to further your education and you’re either currently enrolled in or have already completed your certification for the Master Facilitators Training, I invite you to join Kasia Roether and I for this four-day workshop to learn directly from the wild Mustangs, themselves. You must either be actively enrolled in Master Facilitator Training or have already completed your certification as an Equus Coach Master Facilitator. If you have any questions, please email us at support@koelleinstitute.com. Spaces are limited to just eight people to ensure the most meaningful instruction and maintain safety. If you feel ready to further your education and you’re either currently enrolled in or have already completed your certification for the Master Facilitators Training, you’re invited to register now so you can join Kasia Roether and Koelle Simpson for this four-day workshop to learn directly from the wild Mustangs, themselves. Due to the costly non-refundable nature of reserving venues for various events, and the limited spaces available in workshops, a cancellation made 30 days or less from the beginning date of an event is non-refundable. Fifty percent of the event fee will be refunded for a cancellation made between 60 to 31 days prior to a scheduled event. Any cancellation made 61 days prior to a scheduled event is fully refundable minus an administrative processing fee. Koelle Simpson has been on a lifelong journey of integrating her own sexual abuse trauma. 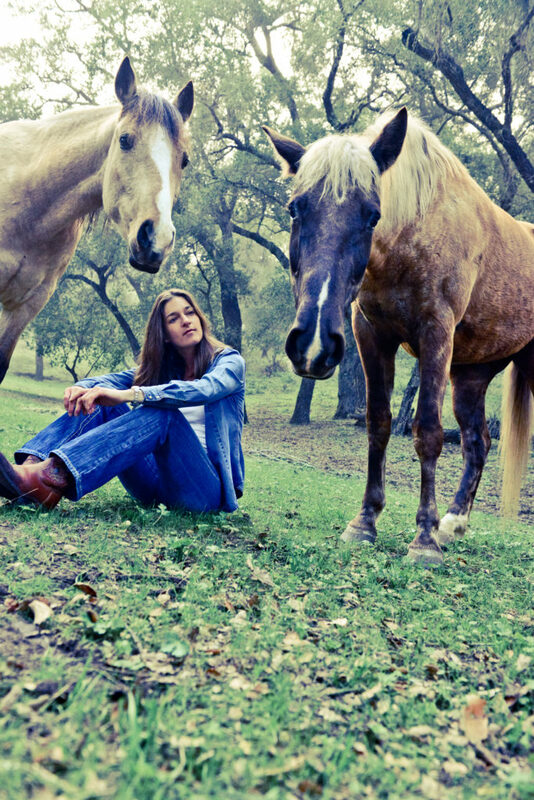 Through her work with horses, she has been able to decipher the specific ways in which they have helped her rebuild trust in herself and thus learn to form healthy long-term relationships with others. While the road has been long and somewhat circuitous, Koelle’s deep desire to remain curious and open to learning has allowed her to witnessed the various ways that trauma impacted her internal dialogue, physical health, emotional states, and relationship patterns. Her passion for sharing this journey of healing and integration with clients and fellow students has been the foundation and birthplace of the Equus Coaching model. Kasia Roether’s lifetime dream has been to create an environment in which people can experience a horse’s power for healing, growth, and connection. 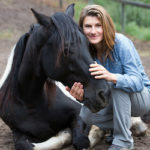 As an Equus Coach Master Facilitator, Kasia brings to the Institute her extensive knowledge and experience from seventeen years of training horses and teaching people about their behavior, nature, and ways of communication. 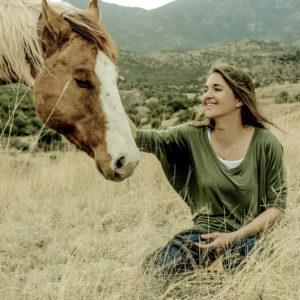 As a coach and catalyst, Kasia helps students and clients to connect with Nature’s wisdom and learn from it through a horse’s presence, sense of reality, the identity of wholeness, and self-care. Kasia is an instructor for both the Equus Coach Training and Master Facilitator Apprenticeship program. She offers mentorship to all students-in-training and members of the Equus Coaching Herd.